Those who believe that Mauritius is only famous for its white sand beaches are in for a surprise in Pamplemousses. The town is famous for its botanical gardens which are a feast to the eyes of nature lovers. 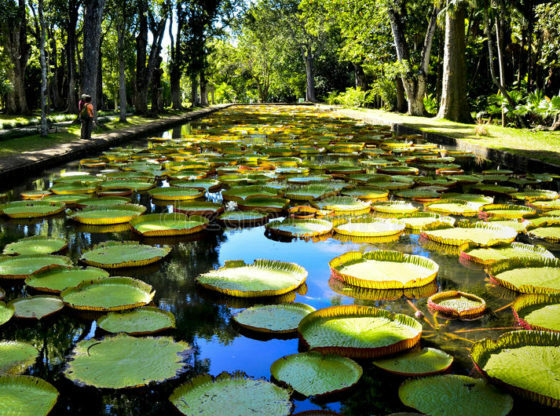 Just like most of the other places in Mauritius, these gardens are also officially names as Sir Seewoosagur Ramgoolam Botanical Gardens, nicknamed Royal Botanical Gardens. They have a variety of amazing endemic and foreign plant species. The most famous is the lotus leaves which are just splendid to view at. Apart from the botanical gardens, you also have a Beau Plan sugar factory which has been converted into a museum. Although there are no other attractions in the town, but the gardens and a museum are worth a visit.